You are here: Home / Ammo / Ammo Test: Will Your Short Barrel 9mm Penetrate Heavy Clothing? Of course, penetration is only part of the battle. Will your 9mm ammo actually expand after penetrating heavy clothing? On this episode of Will It Expand, we aim to find out! As we couldn’t find any heavily dressed bad guy volunteers, we resurrected the boots, stuffed them full of old shirts, and placed them in front of our high-fallutin’ wetpack bullet catcher setup. That gives us a reasonable approximation of a heavy coat or jacket and some lighter clothing layers. And with a lot less bad attitude than your typical street thug. 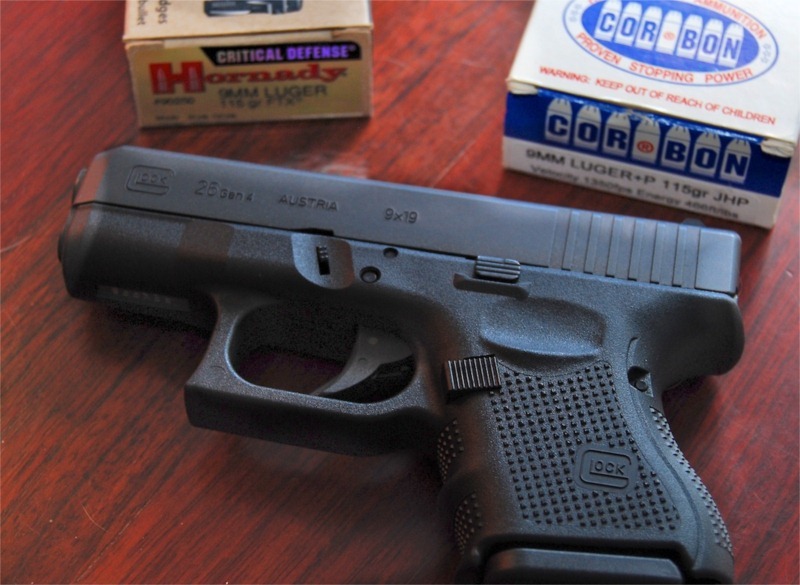 For the ‘short barrel’ part of the equation, we used a Glock 26 Gen IV which is in for review. A great little gun that packs 10+1 rounds of 9mm and features a 3.4” barrel – perfect for our carry gun test. Shorter barrel, a little less velocity, and a good bit more stress on hollow point performance through barriers. Once again enduring the strange looks at the range – “Why on earth do those idiots keep shooting cowboy boots at the range dear?” – we persevered and shot the boots, dug bullets our of wet and nasty wetpack, and brought you the results. Just as a side note, it’s amazing how much wet junk mail resembles used diapers. The CorBon loads all expanded beautifully.With one we did have jacket / core separation, but overall they made cute little mushroom shapes.If anything, the CorBon loads expanded a tad too much and penetration was about 50% less than that of the other two loads.Chalk this up to a lighter bullet than the Georgia Arms Gold Dot and bigger expansion than the Critical Defense projectile of the same weight. The Georgia Arms Speer Bonded Unicore loads were solid performers through our tough, winter attired, evil d00d simulation.Out of seven rounds fired, five expanded perfectly and demonstrated excellent penetration. Two projectiles partially expanded. All four Hornady Critical Defense projectiles had excellent penetration.Two expanded perfectly, the third had perfectly adequate, but less photogenic expansion, and the fourth had some deformity and partial expansion. We were somewhat surprised at the good performance turned in by all three loads out of a shorter barrel concealed carry gun. We’re waiting on a backorder of the new Hornady Critical Duty 9mm load, which is a bit heavier, and will test that against a heavier CorBon 9mm JHP load. Should be interesting. I think this raises a great question and gets deep into ‘personal opinion’ territory. The 9×18 (to me) is on the borderline of the bullet weight / velocity scale where the decision as to whether to use FMJ or Hollow Point ammo is not clear cut. We’ve had limited success with hollow points with similar ballistics to the 9×18. Sometimes they perform (expand) and sometimes they don’t. Which may suggest that FMJ’s are preferable at this weight / velocity combo in order to get better penetration. Hi Dan – First I would strongly recommend that you DO NOT shoot ammunition of unknown origin! If they are reloads bought from a flea market you have no idea what kind of pressure those cartridges generate. Or if the reloader made a small mistake like an undercharge or overcharge. Either scenario can result in explosion of your gun and injury to the shooter! I am a firearms instructor, for a VERY large federal Law Enforcement agency! As such I am asked a lot of questions about off duty firearm choices. Most opt for micro nine’s with the Glock 26 and Ruger LC9 being at the head of the class. There are some old guys like me that have been known to carry a .38 Spl snubby by themselves or in conjunction with….and a few small .40’s. 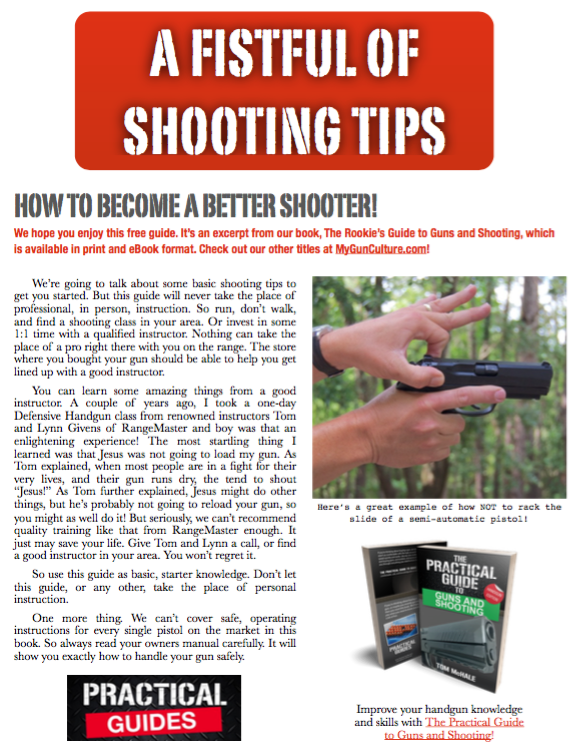 The question I always pose is;….will you supergoblinzapper ammunition make the grade out of a shorter barrel length? In the past this has been a real issue, especially with the .45 ACP! God and John Moses Browning intended the .45 to be launched from a five in barrel! What happens when that same ammunition is fired from a four or three inch barrel? In the past, prior to the latest crop of magnificent hollow points…. A projectile some what akin to FMJ! It is really great to see your tests of “real world” pistol sizes with popular ammunition, and quite eye opening I might add! Thank you! I have been advocating, less the four inches….Speer Gold Dot Short Barrel! Period! Now maybe ther are some other choices out there. Please keep up the great work! Thanks John – The difference in performance of the same load from a 5″ barrel vs a 3″ barrel can be amazing. We’ve seen lot’s of crazy stuff with the same ammo, at 50 to 100 feet per second lower velocity, that performs completely differently. Some of it is clearly right on the border of expansion performance at a given velocity. .380 and .38 Special loads seem particularly sensitive to the short barrel issue as they are already on the velocity / expansion fence as it is. 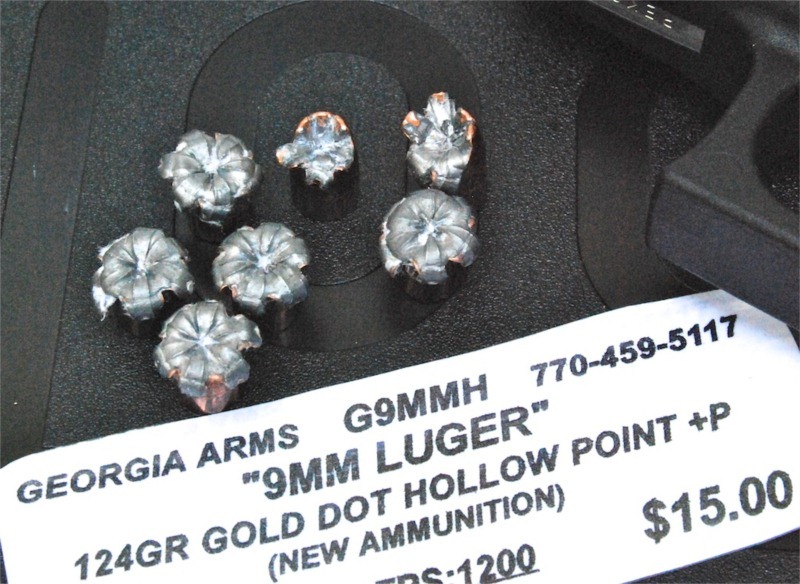 We’ve got a feature on the Speer Gold Dot 9mm Short Barrel load coming up. That will be tested out of a Springfield Armory EMP and a Glock 26. We don’t be doing any expansion testing with longer barrels with that as the ammo is not designed for it and will almost certainly over-expand at slightly higher velocity. We will, however, shoot it out of a full length pistol to capture the velocity difference. Again thanks for your comments, would love to hear more of what you run across out there in your training and LE adventures! I would like to see the same test performed with 45 acp. Curious to see 230gr HST.